Natural hybrid of fasciculata x bartramii? or simulata? "Now to a T. xfloridana look-alike – well I think so. I call it ‘Pachuca’ from the place in Hidalgo, Mexico where Renate Ehlers found the plant. 17, 18. Certainly there seems to be the influence of T. fasciculata but what about the other parent? If it was T. bartramii then we have a problem, - Well at least I do! 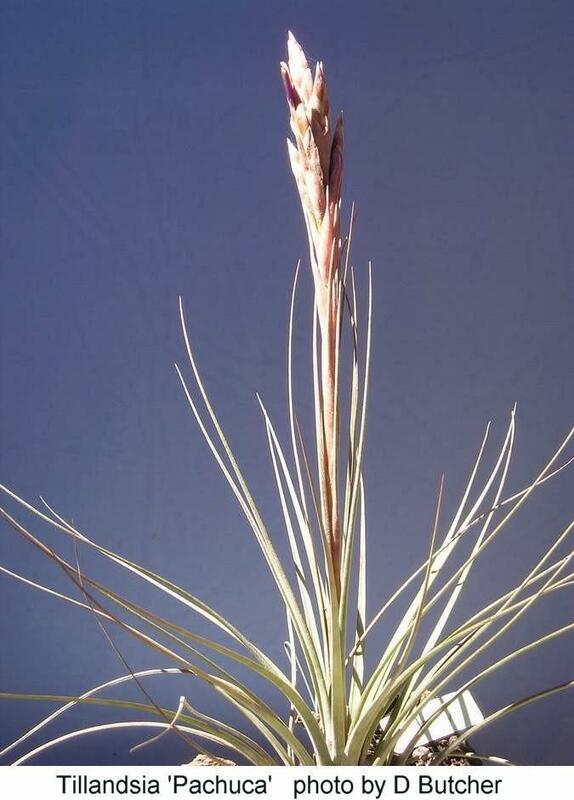 Lyman Smith treated T. simulata as a synonym of T. bartramii and both grow in Florida. 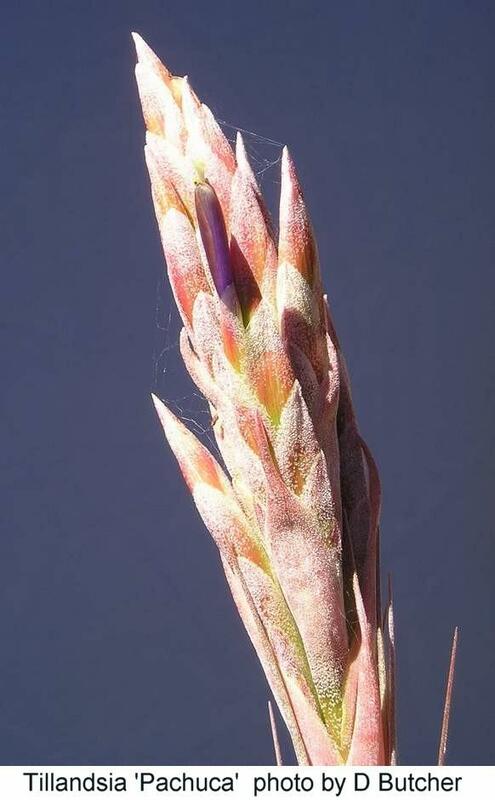 Harry Luther resurrected T. simulata to species status. So if plants come from Florida we should have a rough idea of the plants look like. However, Espejo in Mexico still follows T. bartramii sensu Smith, so although he and Smith report findings of T. bartramii in Mexico is it T. bartramii in the strict sense or T. simulata in the strict sense? Therefore neither Renate nor I are prepared to guess the other parent!" See DD1008. Natural Hybrid Talk for more details.